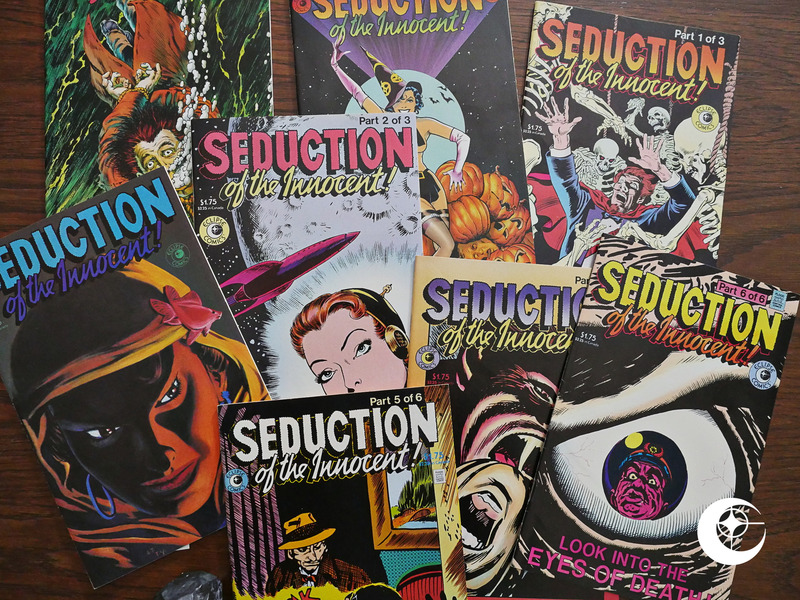 This series of books reprints crime and horror stories from various Standard comics from the early 50s. 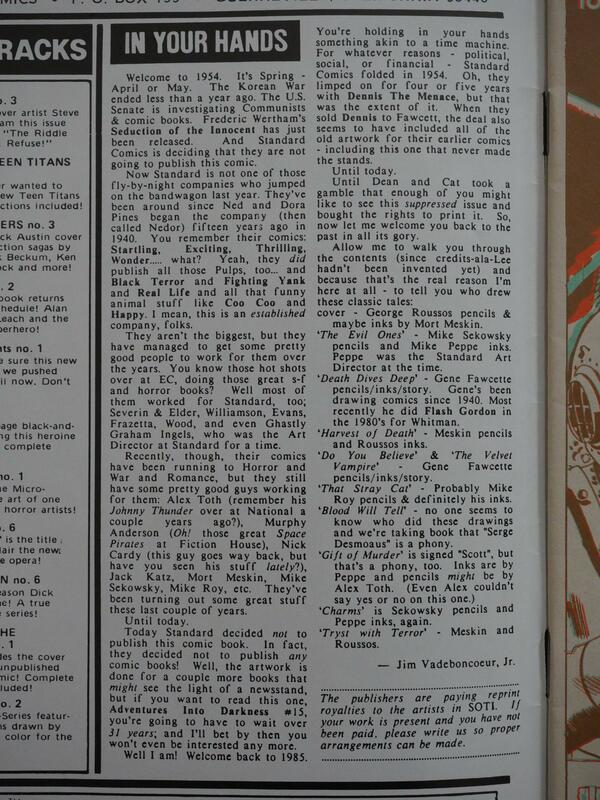 As Standard didn’t really publish that many of these comics (as co-editorisher Jim Vadeboncoeur, Jr. points out), these eight comics perhaps reprint a sizeable fraction of them? Vadeboncoeur provides a page or two of introductory text in each book, which is very welcome. 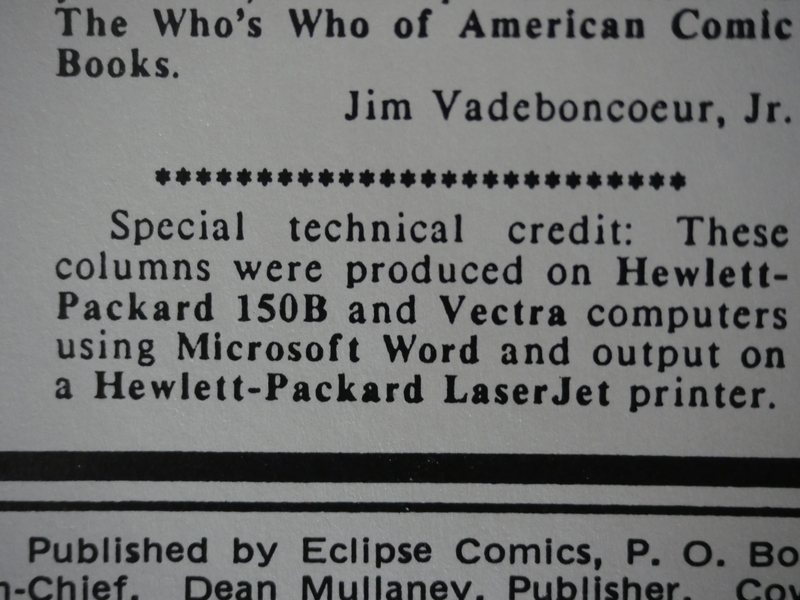 Eclipse has a tendency to skimp on contextualising the things they’re reprinting. 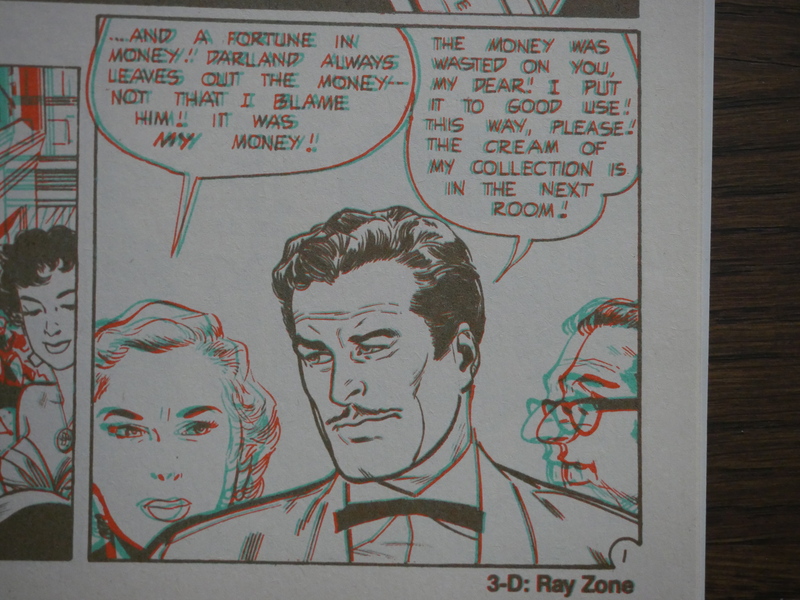 The first two books are in 3D, but are apparently fix-up jobs that weren’t originally in 3D. The conversion’s pretty good. The source material is super-risque. 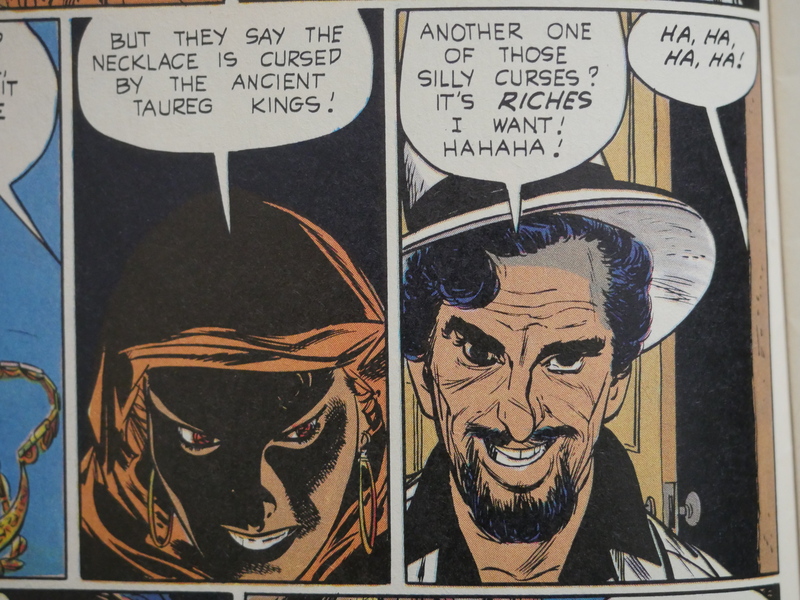 But the best thing about this reprint series is the number of Alex Toth pieces that are reprinted. Super stylish. 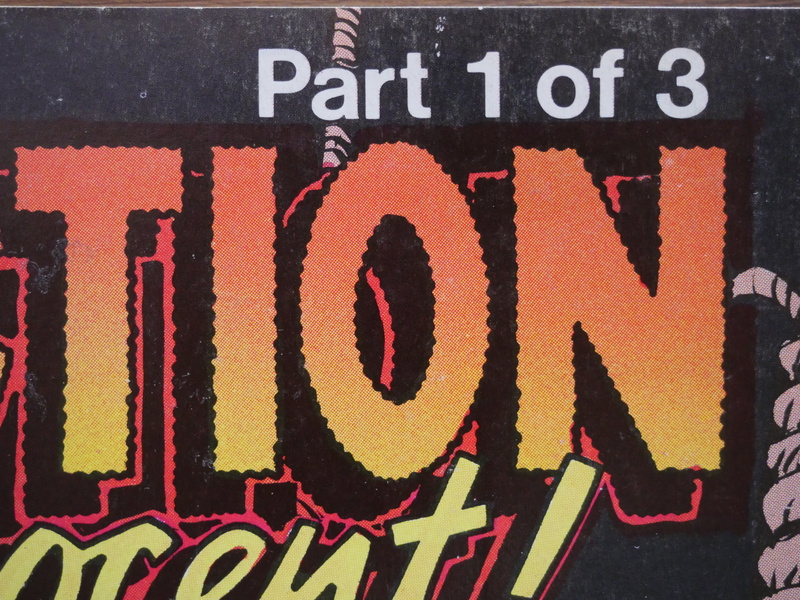 Then there’s the regular 2D series, which was originally projected to be a three part miniseries, but was expanded to six issues after the initial three issues were published. Did they sell better than expected, or did Eclipse just find more material worthy of reprinting then they’d expected to? Oh, cat ⊕ yronwode. Here’s an entire column dedicated to peeving; first about the way airline stewardesses stress certain words, then bounced checks (with a threat to publish the miscreants’ names), and then about people who cut up the comics to send in the ordering coupons. 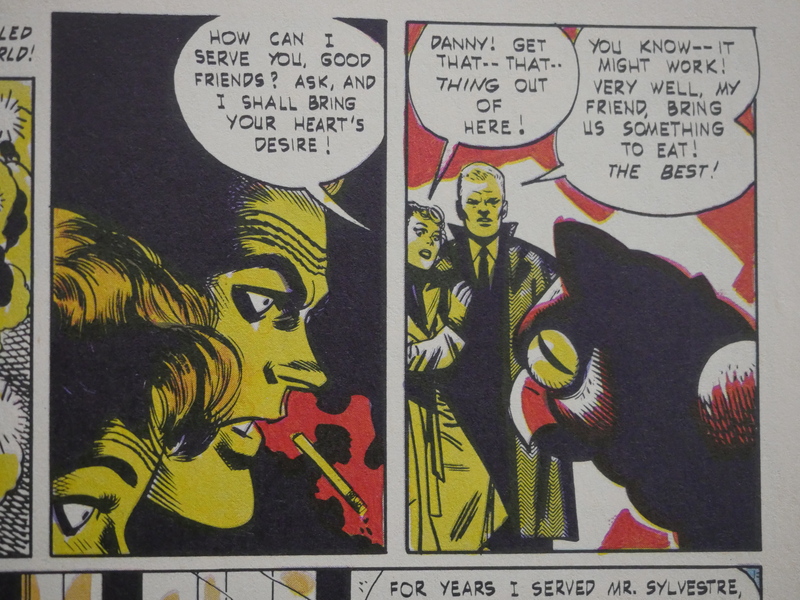 While the artwork in some of these pieces are great fun to look at, most of the stories aren’t very memorable. The action is choppy as hell and all the stories end with the requisite twist ending. 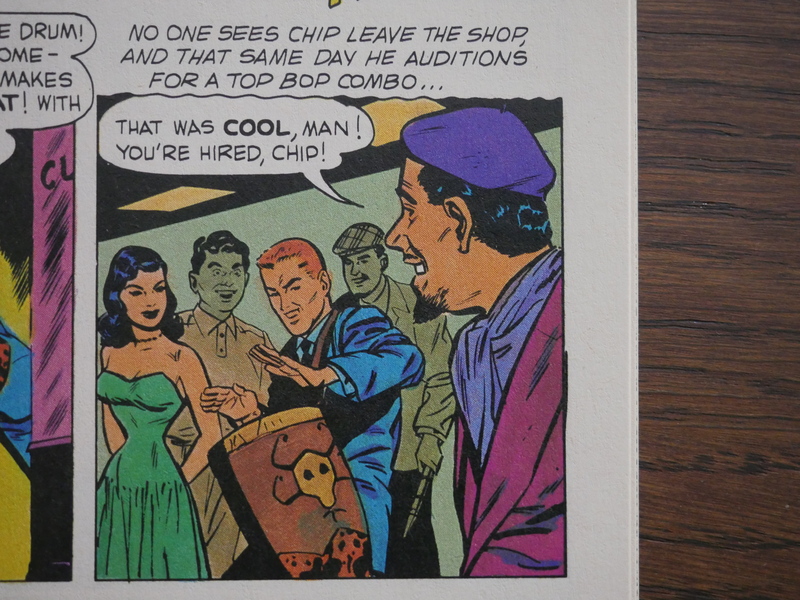 But these are better stories than you usually see in reprints like this. 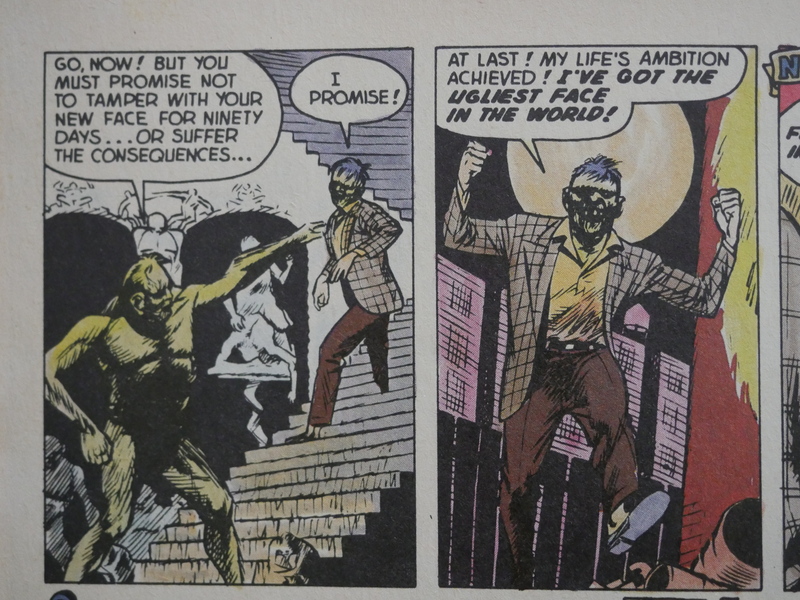 I’m usually bored silly by the third page when I attempt reading pre-code reprints, but these are pretty inventive strips. 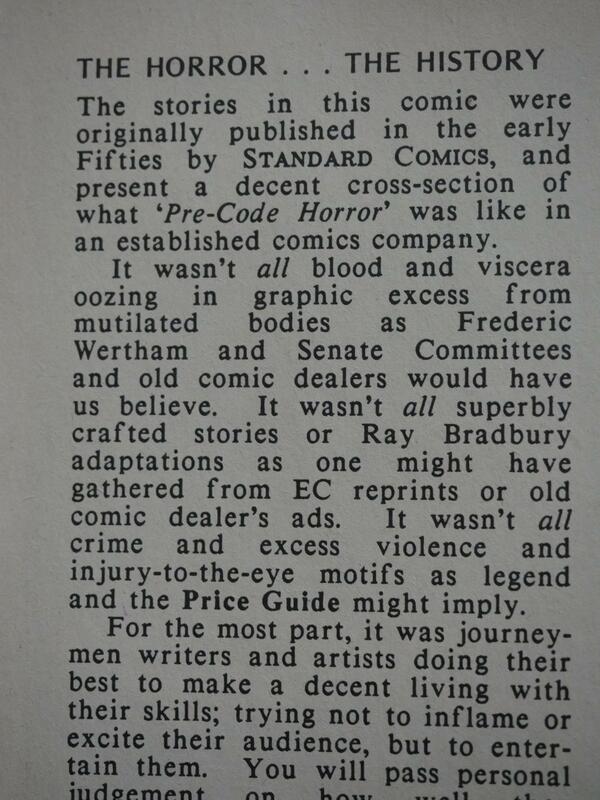 Vadeboncoeur provides a general overview of the comics scene at the time, too. Hey, Jack Katz (of The First Kingdom er fame). 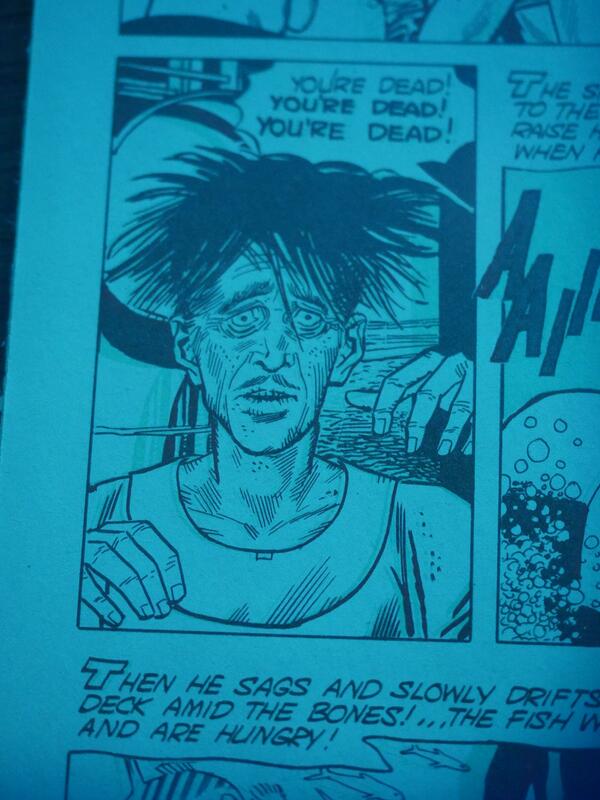 But mostly he does a kinda Bernie Kriegstein thing that I was not aware that Toth was doing. 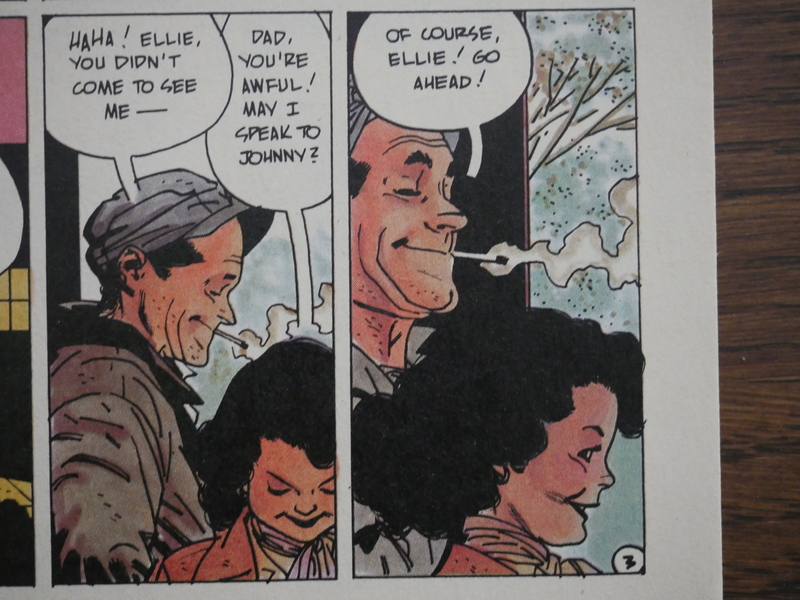 As you can see, these pages are shot from the original artwork which they amazingly enough managed to squirrel out. 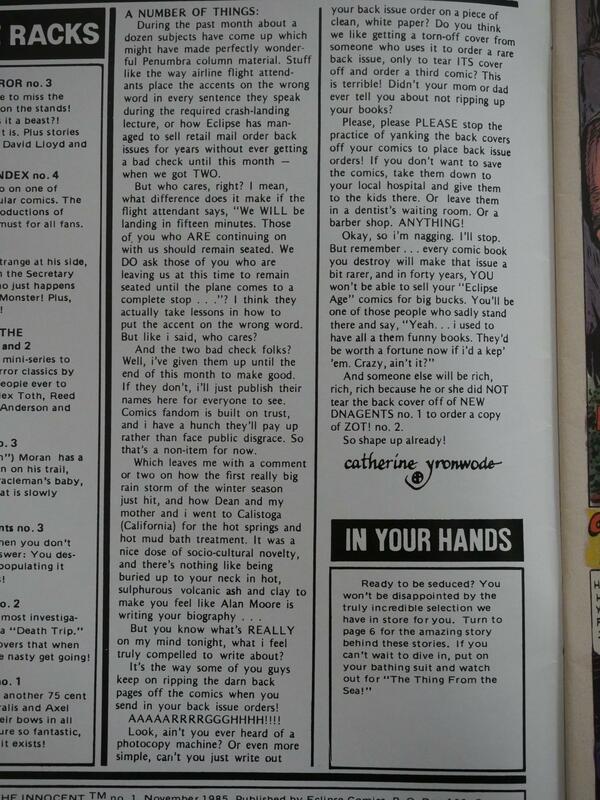 The result is super sharp pages, probably better printed than they ever had been before. 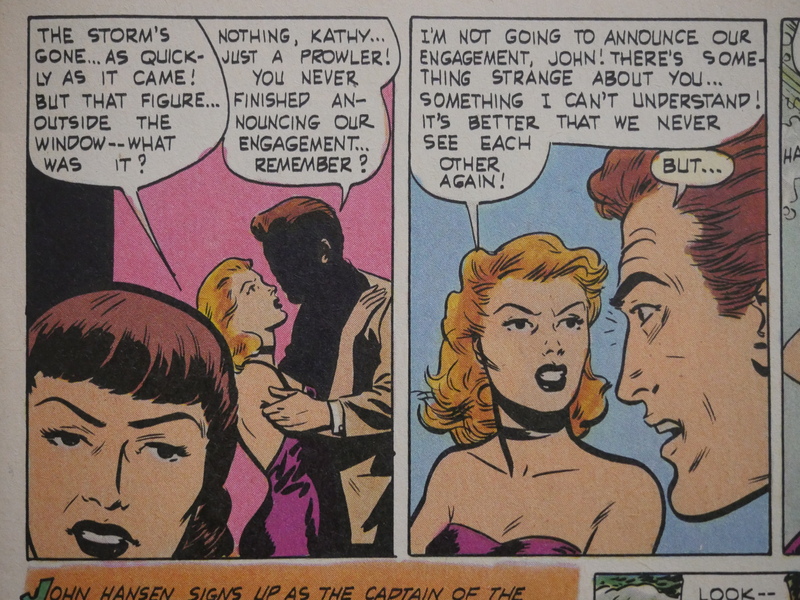 Along with the sympathetic new colouring job, these reprints are head and shoulders in front of the current craze of shooting from printed 50s comics. Fetishising off-register printing is all well and good, but … this is better! There. Let the healing start. But back to the stories. 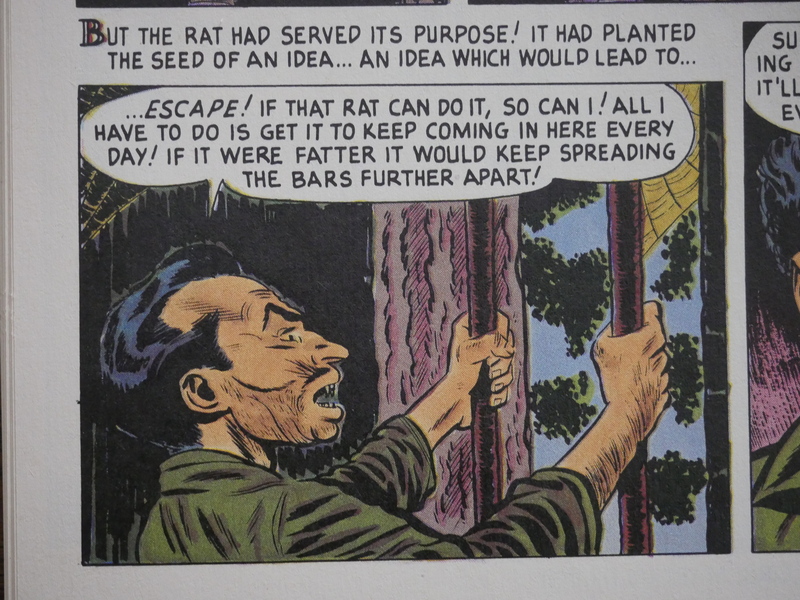 Here’s a guy in jail who figures out the way to escape is to fatten up a rat because… of what he says above. Were all the writers hopped up on diet pills or something? Because that’s brilliant. 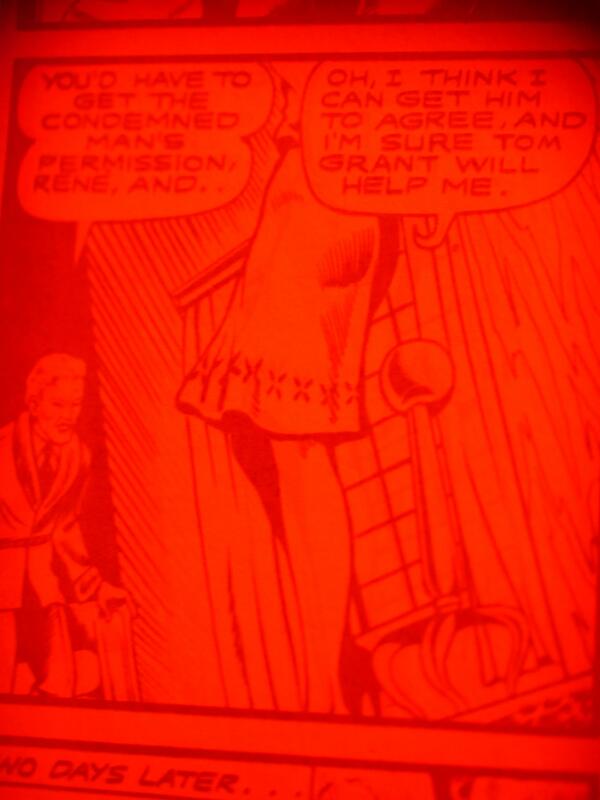 It’s the 50s, so you have a cursed bongo drum because of course you would. 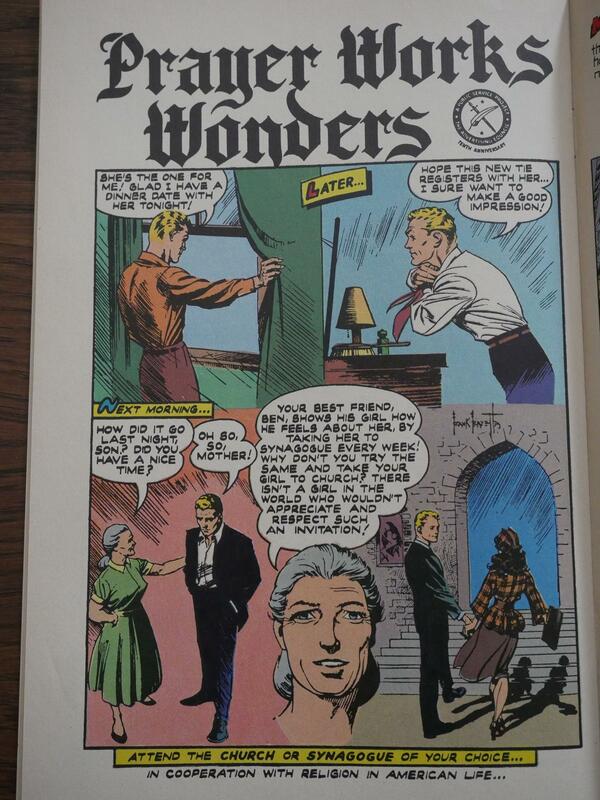 And that’s the weirdest thing in this book: A one-page strip from Frank Frazetta about how the hottest place to take your date is a church (or synagogue). So that’s it. Eight issues of reprints from Standard comics (with a couple of non-standard stories in issue #4), and they’re much better than you’d expect them to be.